Isabelle, the beloved assistant to the mayor from Animal Crossing: New Leaf, is coming to Super Smash Bros. Ultimate. The internet, myself included, has lost their collective mind. Let me set the scene: I’m 13 years old. For Christmas, I get the first game console that’s truly mine and not my older brother’s. It’s a Nintendo Gamecube, and with it I receive two games, The Legend Of Zelda: Windwaker and Animal Crossing. Zelda’s art style is charming, but it doesn’t engage me like Animal Crossing does. I spend all day at school thinking about my villagers, about planting flowers and making friends. It teaches me to value taking things slow and being kind to others, and eventually those things become a core part of my identity. The moment I bought a Switch, I knew what I was really waiting for was a new Animal Crossing. 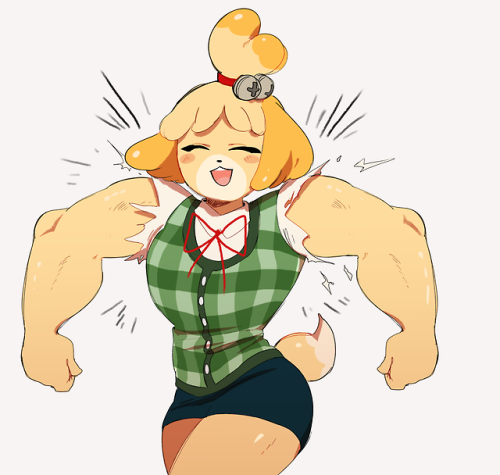 Yesterday, not only did Nintendo finally confirm Animal Crossing for Switch, coming in 2019, but announced that Isabelle, my precious angel, is going to be a fighter in Smash. Yesterday was also my birthday, so it felt like Nintendo was giving me, specifically, a birthday present. 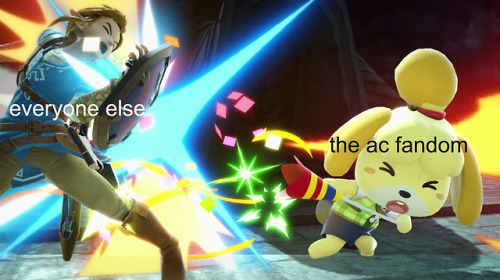 Dedicated Smash pros may not be excited, but the Animal Crossing fandom is overcome with joy. Isabelle, who has never done anything wrong, is now my Smash main, and I look forward to watching her murder Solid Snake.